The Breakdown Part 1: Launch Titles. I choose Microsoft…..No wait Sony!….I take that back, Microsoft again! I’m sure that a lot of people out there are still unsure of what next gen system will occupy their living rooms (or man caves). For some gaming addicts out there, the easy choice would be just to just grab one of each, get the best of both worlds. But the majority (including myself) just doesn’t have that kind of cash at their disposal. If i wanted to get just the baseline product, it would cost me right at a grand for both (that is just 1 too many zeros for my liking) And that is not including games, online subscriptions, extra controllers, headsets etc. In this kind of economy it’s 1 or none. (in less you have rich parents that buy you everything. In which case i hate your face) So with the money issues aside… the important questions here is, which should you choose? I will be putting together a short series of posts entitled “The Breakdown” where we (you guessed it) breakdown the two competitors to see which is better at what. And maybe it can help you decide which system you will be wasting the next 10 or so years of your life with.So let’s start with what really is the most important thing, the games! Below is a list of confirmed game launch titles that will be available on day one. All the games on the left will be exclusive to the Xbox One, The right will be exclusive to the Playstation 4 and of course the middle will be playable on both. 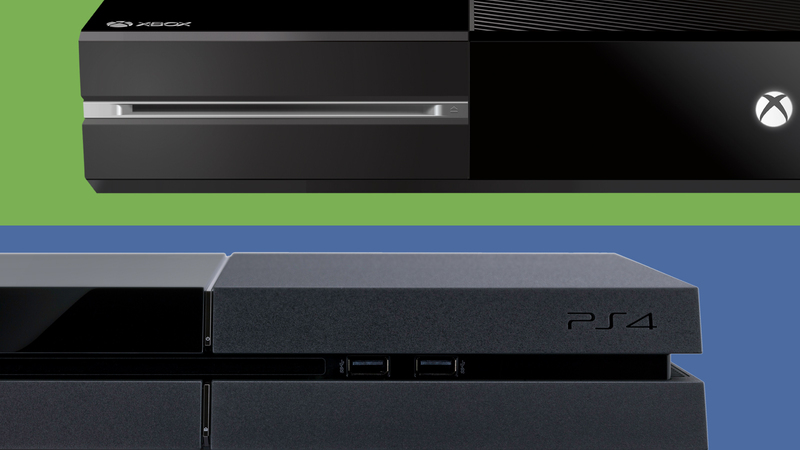 The Xbox One will launch with 17 titles while the PS4 will kick things off with 18. Which brings the total to 24 to choose from. Which one do you think has the best exclusives at launch?